IMPORTANT- Whatever the reason for the return, can you please add a covering letter briefly explaining why you returned your product, your order number and FULL contact details. By doing this will help the J4k team deal with your request as fast as possible. ALSO we strongly advise that you send any product back recorded delivery (So a J4K staff member has to sign for your returned product so you have proof of delivery). Unfortunately items do go missing in the post and if we do not receive a product J4K cannot be held responsible as the product is your responsibility until we receive them back and have signed for them. If you need to return your product for whatever your reason, this must be within 30 days of purchase and must be in the same packaging from when you bought. 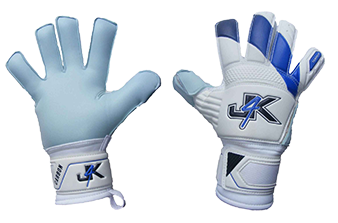 Once receiving a returned item an experienced member of our staff will check to see if the product (s) has a factory fault (If this is the case a refund or replacement will be sent at J4K’s cost). If J4K find this fault is either wear and tear, and or misuse from the customer, in this case no refund or replacement will be sent. We will email our reason why we came to this decision and if you want the product returned, you must forward the postage cost first. 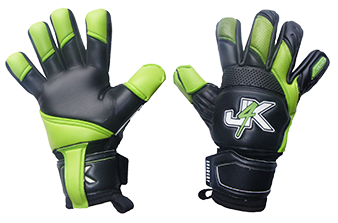 Please Note: J4K cannot offer a refund or replacement on any wear of the palms on any of our gloves. This is because the palm is a soft latex material and will naturally wear from your first use, and then with every usage. Also as poor pitch conditions, wearing gloves on artificial turf and even using a worn out football can drastically wear the palm away, for this reason we cannot guarantee our palms. If you have received a free sponsored pair of gloves, through our sponsorship program, we cannot replace or refund as we have given you this product for free. Also any personalisation goalkeeper gloves cannot be refunded or exchanged. We cannot accept any return after 30 days. We also cannot be held responsible for products bought through our resellers. If you have bought through one of our resellers, you have to return your product to this reseller in line with their terms and conditions.